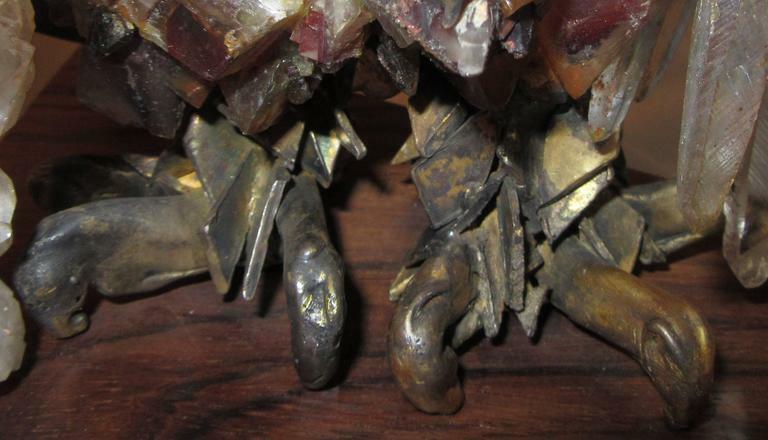 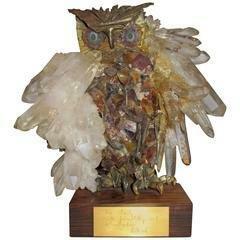 A brass, crystal, and geode Brutalist style sculpture of an owl on a wood base. 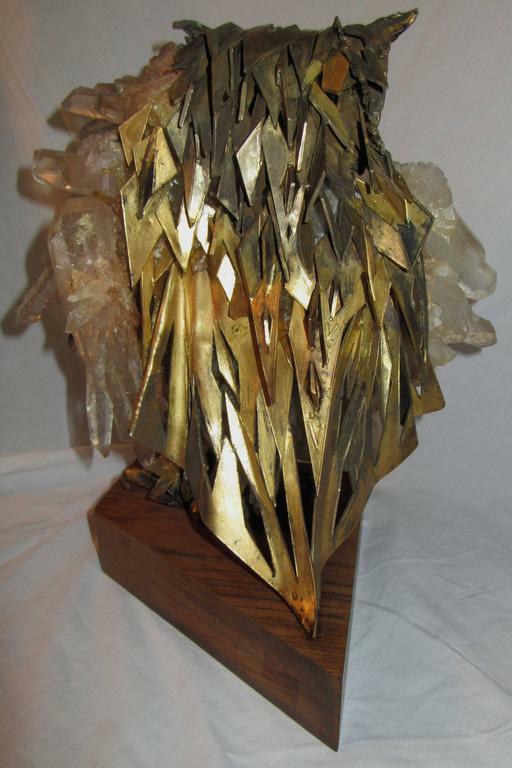 Most likely done by Artist Claude Barbat. 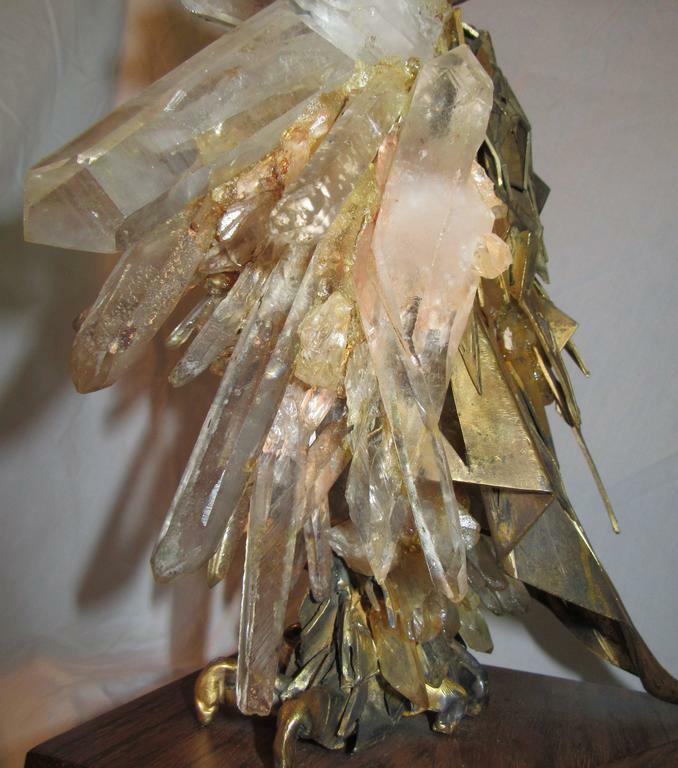 Highly detailed and intricate. 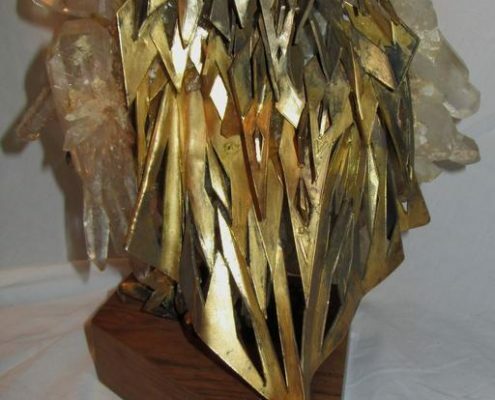 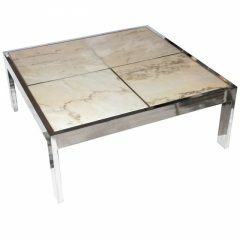 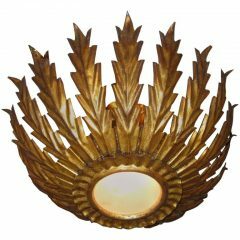 The body is formed from hand cut brass and iron stained quartz. 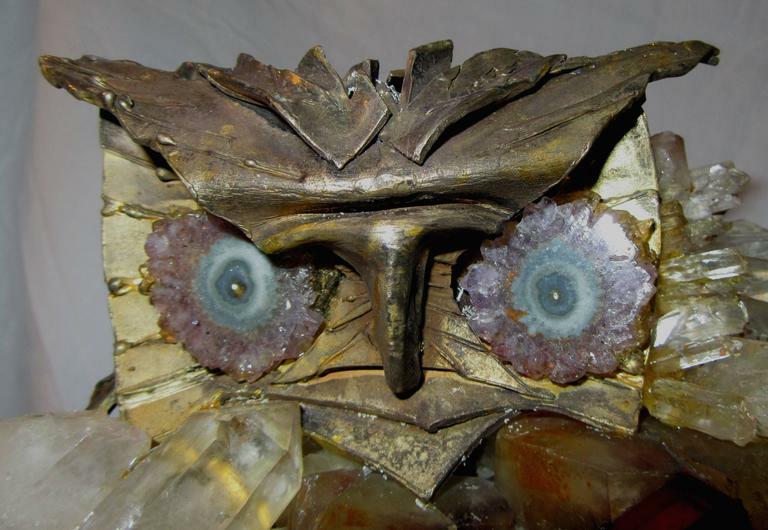 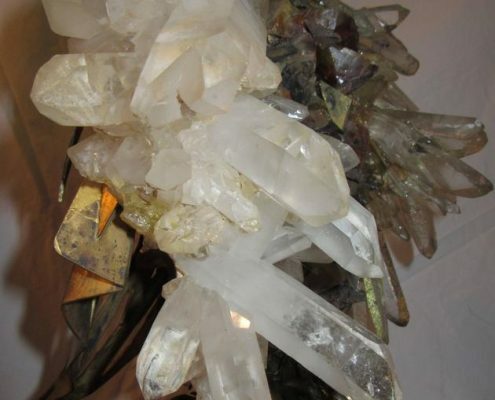 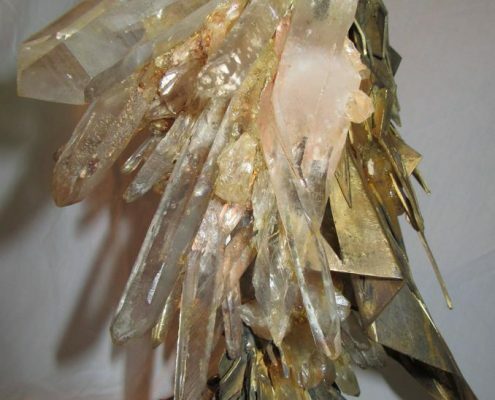 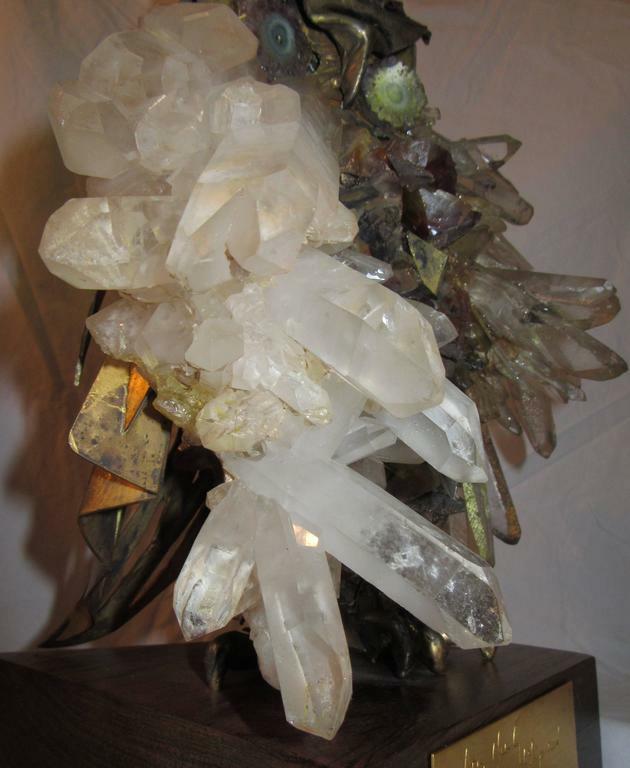 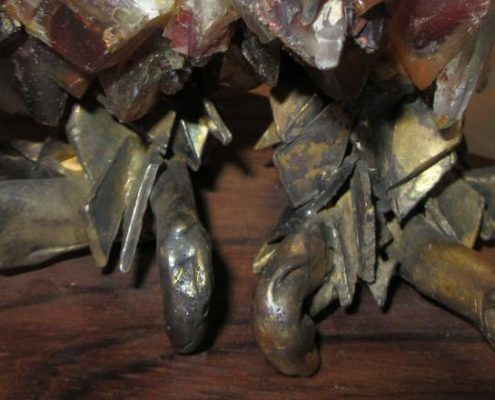 The wings are clusters of quartz crystal, and the eyes are amethyst stalactites. 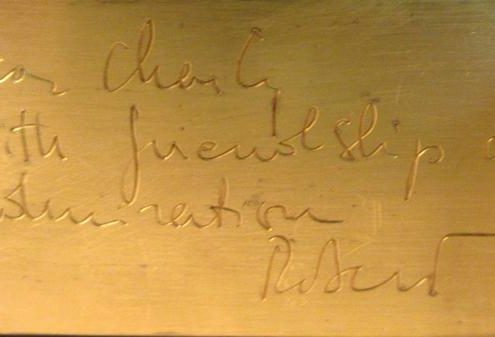 The brass engraved plaque reads: “Dear Charlie with friendship and admiration, Robert” This piece is from the estate of Mr. Charles Bludhorn, who acquired Paramount Pictures in 1966. 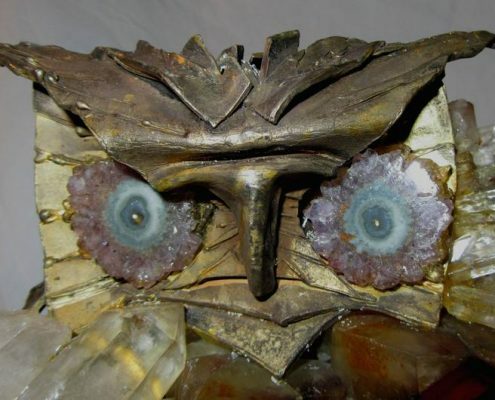 Authentication provided by the Bludhorn Family.